It has officially been fall for almost two months now, and I have to say my skin has not been too happy with me. The weather has been changing drastically from day to day, so my skin is ultra dry then sweaty, and my allergies makes it their own personal mission to ruin my mornings with runny noses which leads to dry skin around my nose. Although it’s an American beauty favorite since 1866, Dickinson’s Original WitchHazel has been one of the best-kept beauty secrets for sure. 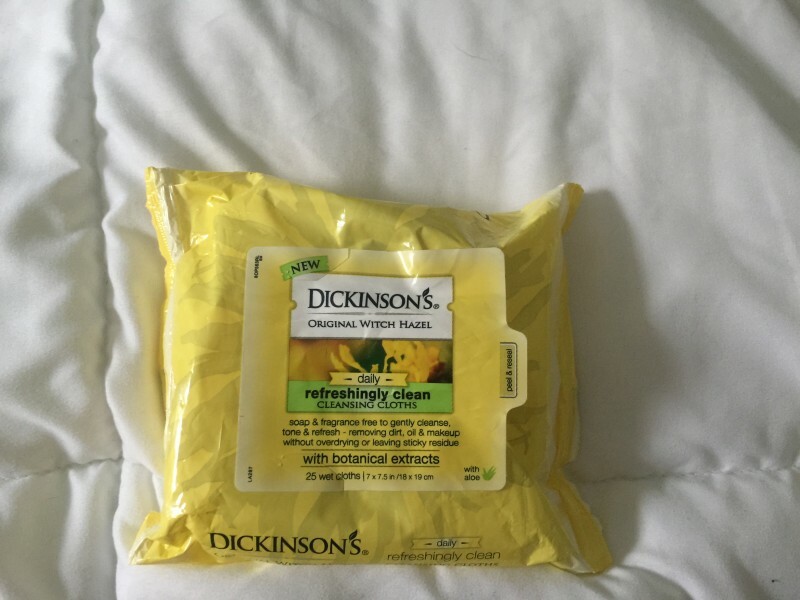 Dickinson’s cleans and tones the skin gently, but effectively. After each use, their product leaves your skin feeling radiant and selfie-ready! 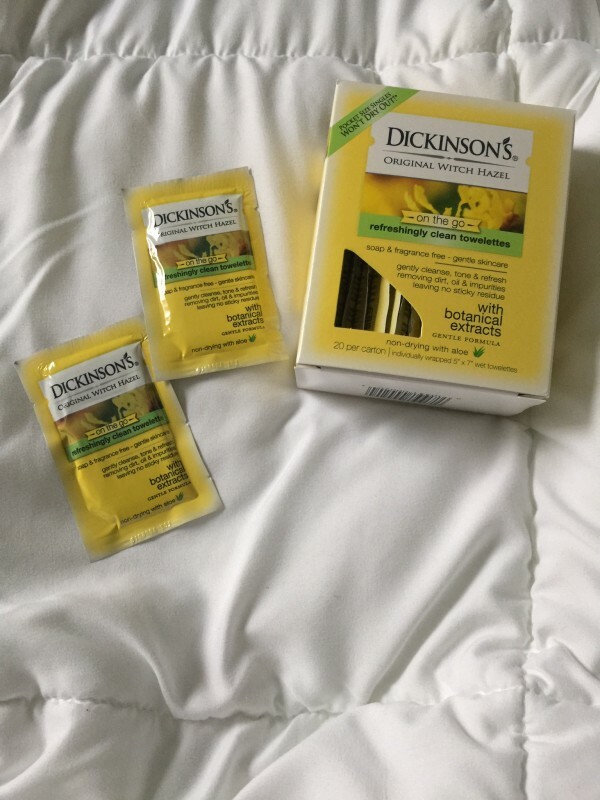 I personally love Dickinson’s Original Witch Hazel products because I am always looking for that perfect wipe to remove dirt and makeup before washing my face. But I always run into the issue of my skin being way to sensitive, so regular wipes make my skin turn red or peel. These products are great because they do not dry out your skin, even when used daily. And as an added plus, the toning properties will help to minimize the appearance of pores, eliminate oil and shine, and nourish dry skin! These wipes are awesome! They come in classic packaging so they are easy to use on an everyday basis. They leave absolutely no residue and are soap and fragrance-free (my extra-sensitive skin loves that). They have been tested by both dermatologists and ophthalmologists, so I trust that I can use them without being worried that it is bad for my face. These are very easy to find! Try Walgreens, Amazon, Walmart, and other retail stores. These are perfect for those who are always on the go (also great for my lifestyle). I love to just throw one or two of the towelettes into my bag and head to the beach, gym, or work! They are also great for traveling. Like the regular packaged clothes, these are gently spun lace that helps extract dirt and oils without leaving any residue. It is not very often that you can find the perfect face wipe for any time of the year. This is especially difficult during the colder months that will not leave your skin feeling dry. I love having these wipes and the fact that they are easily accessible and relatively cheap to buy, you couldn’t ask for anything better. Go ahead and try them out, Millennials! And do not forget to continue to check out Dickinson’s on Instagram and Facebook for a special offer coming soon!